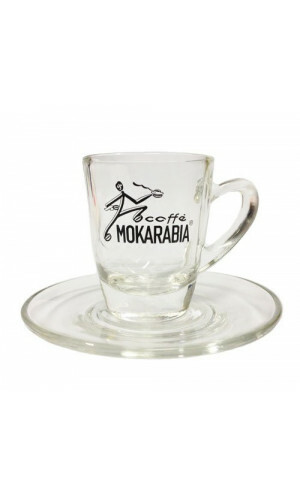 Have a look at our famous Mokarabia Coffee Cups and Saucers with Handle for Coffee Latte, Mocha, Cappuccino or traditional Espresso. 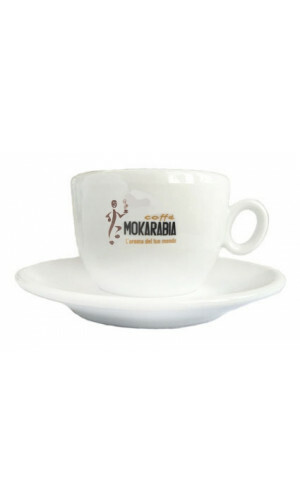 Cups and Saucer are made of high quality white Porcelain which ahve the famous Mokarabia Logo on it. We also have other Mokarabia merchandising like sugar container or napkin dispenser. 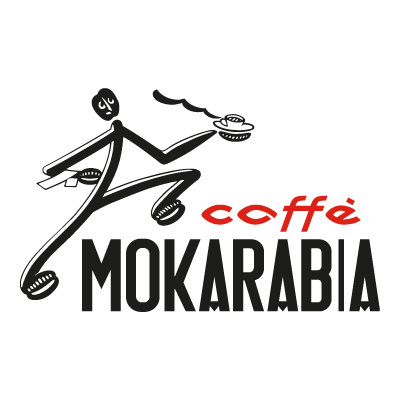 Mokarabia is a premium Italian coffee that offers a choice of distinctive blend coffee beans. 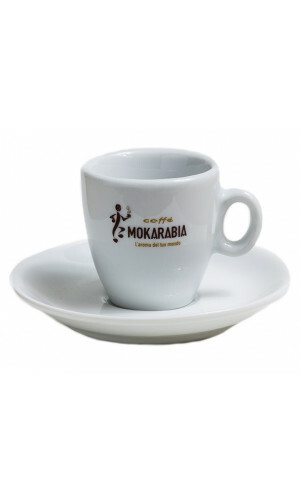 Beautiful Espressotasse from white porcelain with Mokarabia logo. Timeless design - Enjoy your mocha, espresso and Turkish coffee in the finest way.